Culture | Bali Eclectic Info, be Beachylicious! 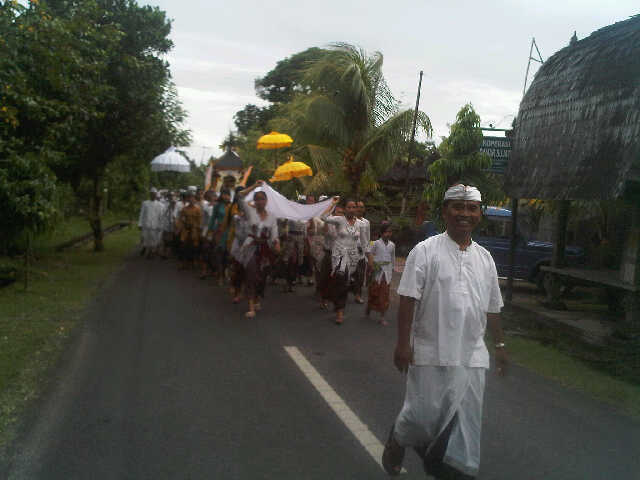 Hindu in Bali celebrate new year ‘tahun baru Saka’ with a day with silence. A Silent day (Nyepi in Bahasa) is a day from 6am to 6am the next day with no lights/fire, no work/activity, no sound, and no leisure. A very interesting ceremonies will be held before. Purifying the soul by cleaning in nearest beach/river/spring (called Melasti), Devil fights the goods amazing statues (called Ogoh-ogoh) parade with dancing, traditional music gamelan played, laser and fire. Airport will shut. And people are not allowed to get out and have to follow all no’s including tourist, except for emergency of course. And this year 2012 it will be on Friday which moslem have to pray in mosque, it will be exception also with conditions applied. 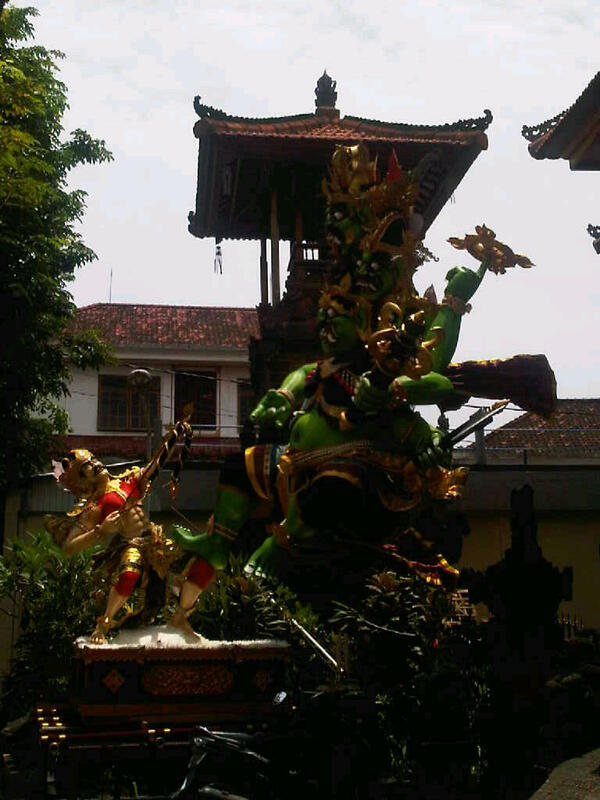 It will showed the co-operation between religions in Indonesia. – When you tanned enough go visit ULUWATU TEMPLE. Pay respect by wearing something decent or borrow a saroong on the entrance. Hold on tight for your things, the monkey is very often took it from visitors (glasses, camera, hp, bright colored things). Serious, no joke about it.